In your “AndroidManfiest.xml” file, set the values for the version name and the version code for your app. The next step is signing your app. If your are using Eclipse IDE, click on your project and export it. 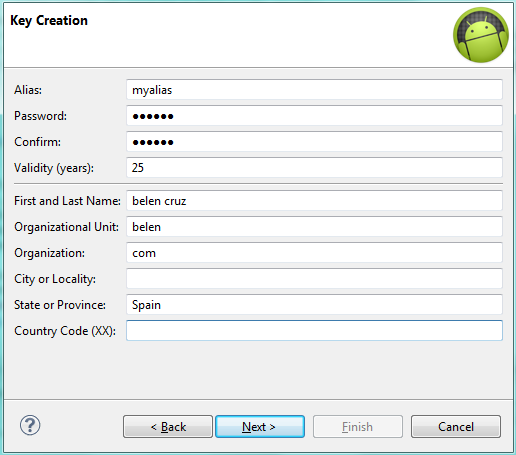 Select the “Export Android Application” option in the export window. 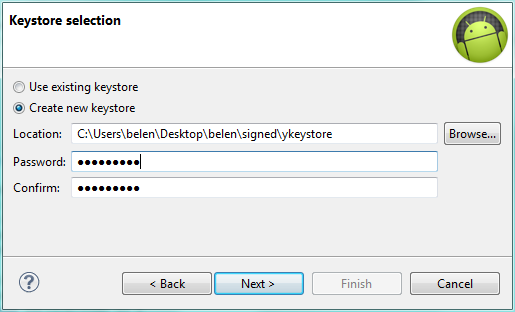 Select the project to export and create a new keystore. Click Next and create a new key. Select your output file and click “Finish”. An .apk file will be generated. Remember to save your keystore and your passwords to use them in your future updates to Google Play. 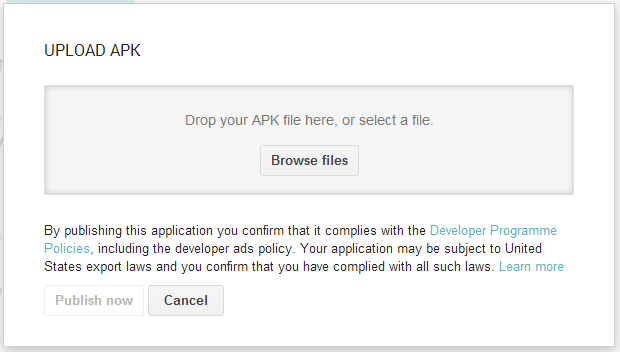 Open your Google Play Developer Console and click the option “Add new application”. Enter your application name and then you can start by uploading the apk or by preparing the store listing. This process is very simple and you just have to follow the steps. Title. Title that will be visible in Google Play. Description. Text description of your application. Screenshots. JPG or PNG images of your application. Icon. A PNG icon in high resolution (512×512). Developer data. Website or email address. After saving your application and submitting it, it will take just some hours to be visible in Google Play. where “com.belencruz” is the value of your application package. To load a POST request into an UIWebView we use the method “loadRequest” of the UIWebView class. The key is creating the POST request. To create a POST request you need to create the content body and append it to the request, so use the NSMutableURLRequest class instead of the NSURLRequest class that is usually used to create GET requests. In the request header, add POST as the selected Http method. In this post I show how to instantiate a broadcast receiver in an activity. An example for which this kind of broadcast receiver is useful is when calling the GCM library service to register/unregister from the GCM servers. When the service asynchronously receives the response from GCM servers, if the activity where users configure the notifications is running in the foreground, it is necessary to update its view. The view shows the user if notifications were successful activated or not. Create the broadcast receiver in the activity class. Call register and unregister methods in the activity class.